I do not teach out of "Numbers" very often, and actually I am not going to say much about that book today. (Okay, maybe a little at the end!) But I do want to talk about the meaning of numbers today -- specifically the meaning of Heartland Church numbers. Heartland is not a particularly big church compared to some. In 2011, our average Sunday attendance was probably between 600 and 650 people. If you have been attending HC for at least a year or two, though, you have almost certainly noticed that our numbers are growing. Really, we have been growing fairly consistently since we moved from Irving to Carrollton a couple of years ago. In fact, that's why we decided that we needed to go ahead and build the new parking lot earlier this year. When we were planning the move to Carrollton, the "experts" told us that we would experience most of our growth in the first six months to a year after the move, and that attendance would then likely level off. That has not turned out to be the case. In fact, our greatest growth appears to have taken place in just the last couple of months. To put things in a little perspective, in 2011 we had less than ten Sundays where our attendance eclipsed 700 people. As I mentioned, our average attendance in 2011 was somewhere around 600 to 650. Since the second week of last December, though, we have been over 700 nine times, including the last six Sundays in a row. In the last nine Sundays, we have only been under 700 twice. And, last Sunday our attendance was over 850 -- which was our biggest non-Easter Sunday in years! As the Executive Pastor of Heartland Church, I am both excited and extremely thankful for our growth. I love the energy I feel in our services, and on some level it is gratifying to know that the hard work and dedication of our volunteers and staff is paying off. But honestly, growth in and of itself really doesn't tell you all that much about a church. SIZE doesn't tell you all that much about a church. I think that in our culture it is possible for churches to thrive for the wrong reasons. I think that church growth can often be attributable to a good communicator, to slick production, to good organization and so forth. But that is not how it should be. 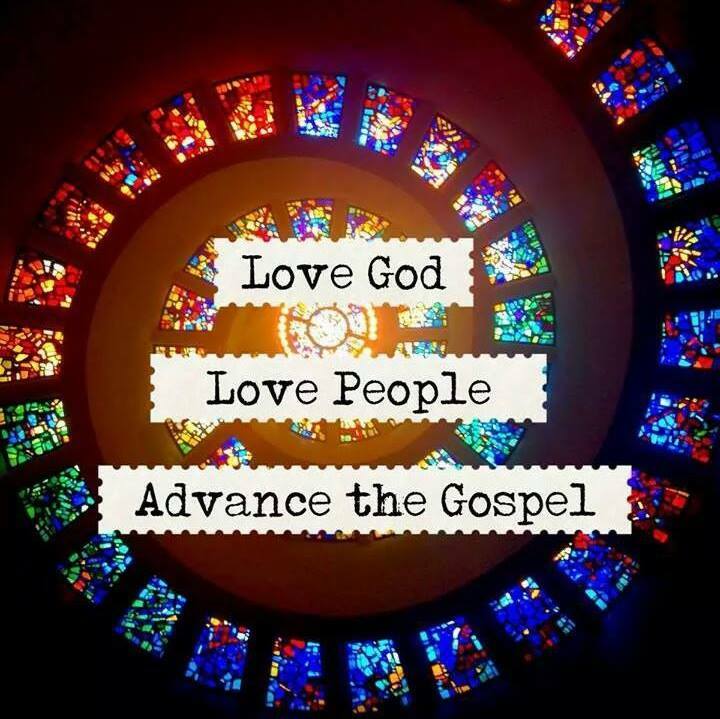 I am paraphrasing, but in his book titled "Crazy Love," Francis Chan mourned the fact that we live in a world where a pastor can be wildly "successful" because he is an excellent communicator, despite the fact that he does not love people. I wholeheartedly agree with that sentiment. I pray that our growth at HC is for the right reasons. I pray that we will be a church that always puts "first things first" -- that we love the Lord God with all of our heart, mind, soul and strength and that we love one another as ourselves. I praise God for Pastor Dan -- because of his love for people. I pray that we never become too caught up in the numbers, but that we always measure success God's way. I pray that we always see success as souls won for Christ, as lives transformed, as marriages healed, as faith increasing, as deeper relationships with God, and as the heart of a congregation that loves each other -- and that even loves the unlovable. So many great things have been happening at HC over the last several months that I cannot even begin to chronicle them here. If you are an HC partner, I hope that you have been a part of some of those things. I believe that God is really doing something special at the church right now, and that our numbers really tell very little of the story. If you feel the same way I do, maybe this would be a good time for you to post a testimony about what God has done for you -- either here or on Facebook. I am sure there are many people out there who will be encouraged by what you have to say. Now, a quick word about Numbers. On of the important ways that I personally measure the success of a church is when its partners (or members) are empowered and equipped to do the work of God. In fact, Jesus calls "some to be apostles, some to be prophets, some to be evangelists, and some to be pastors and teachers" for the very purpose of preparing "God’s people for works of service, so that the body of Christ may be built up until we all reach unity in the faith and in the knowledge of the Son of God and become mature, attaining to the whole measure of the fullness of Christ." Ephesians 4:11 - 13. To put it bluntly, if you are not serving, our pastoral staff (me included) may not be doing its job! It's funny, but people don't serve for a variety of reasons. And, one of the most tragic reasons is that people sometimes don't feel worthy. They find it hard enough to believe God really loves them -- much less that God would trust them enough to allow them to serve in any meaningful way. I know. I once felt that way myself. In those times when I felt unqualified, in those times when I felt unworthy, in those times when I felt that surely God wanted someone other than me, Sherry Ferris would tell me that if God could use a donkey He could use me! See Numbers Chapter 22. Well, there are plenty of misfits and sinners that God used in powerful ways in the Bible (think Rehab the prostitute, David the adulterer, Paul the murderer, Peter the coward, ... you get the idea). Maybe I should be offended that given all of those names Sherry still chose to compare me to a donkey. I don't know. But then again, her point remains valid. If God can use a donkey, surely He can use me too. And, if God can use me, then surely He can use you too! I think "Anonymous" must be my wife!